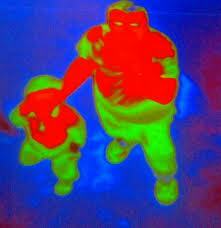 Thermal CCTV – trust us, THE next big thing! Thermal CCTV is here! Much has been discussed about it in our Industry…….but what is it really all about and how does it help? Posted in CCTV | Comments Off on Thermal CCTV – trust us, THE next big thing! Predator camera gets the Thermal treatment! We saw recently that Bosch had launched a new camera……looks like the Brits are also busy creating new innovative products! The clever folks up at 360 Vision Technology have gone and launched a Thermal version of their Predator product to complement their excellent range of IR and IP based PTZ Camera products.